Spotless kitchen, polite cleaners, and fair price. I will call again. I am a student and I work. I don't cook often, so my appliance do not get so filthy as other people's do. Calling the cleaning company was a good decision. I saved time for studying and got all the dirty job done for a price I can afford. Thank you, John, for the best cleaners and the low prices! One of the most important things is cooking in a spotless oven. 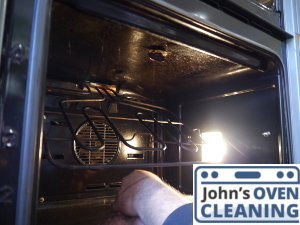 Oven cleaning Windsor SL4 professionals know everything about quality stove, kitchen appliance, and utensils cleaning. Vetted and certified professional oven cleaners in Windsor give high standard services. They perform inspections and consult clients on cleaning methods and strategies. The cleaning team is always fully prepared for the job ahead. The valeting and maintenance are set for the most convenient time for the client. Family-friendly, child and pet safe products are used. Did you know that you can decrease energy consumption just by cleaning the oven? It’s true. Book a service and compare your energy consumption next month. Professionals use the Dip Tank Deluxe sanitising process to avoid any damage to the appliance. Last but not least, considering all possibilities, the cleaners are fully insured. What do we clean for our Clients in Windsor Berkshire? Dial 020 3404 4096 and book great service for you and your family. Our call centre operators work 24/7 for your convenience. Use our online chat and booking forms as well.